It is hard to believe that Ellen just celebrated her 60th birthday last month. Like many budding entertainers, she started out doing odd jobs while trying to make it as a comic. By the mid 1980s, she began touring as a comedian, and her career started to take off. She has been entertaining people and spreading kindness for over 30 years now. Aside from her great success as a comedian and actress, she has also won 33 Daytime Emmy Awards for her talk show, Ellen. Ellen’s love for watches is obvious, and she can be seen wearing a different watch daily. You will often find her wearing Daytonas, but she also enjoys wearing other Rolex models. 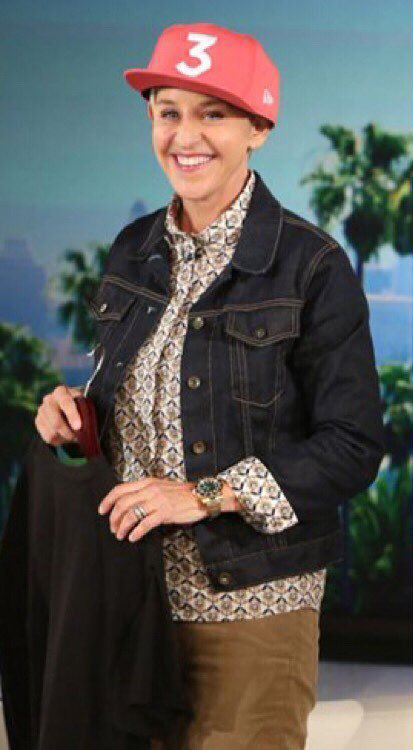 Here Ellen is seen wearing a Day-Date. Ellen has been seen wearing a Rolex Day-Date II 228238, which is a nice upgrade of the classic yellow gold President. This new model is 40mm, which is slightly larger and heavier than the traditional 36mm watch. The larger case size makes for a bolder, head-turning, statement piece. Ellen enjoys wearing larger sized watches that are traditionally considered to be men’s sizes, and she pulls it off beautifully. 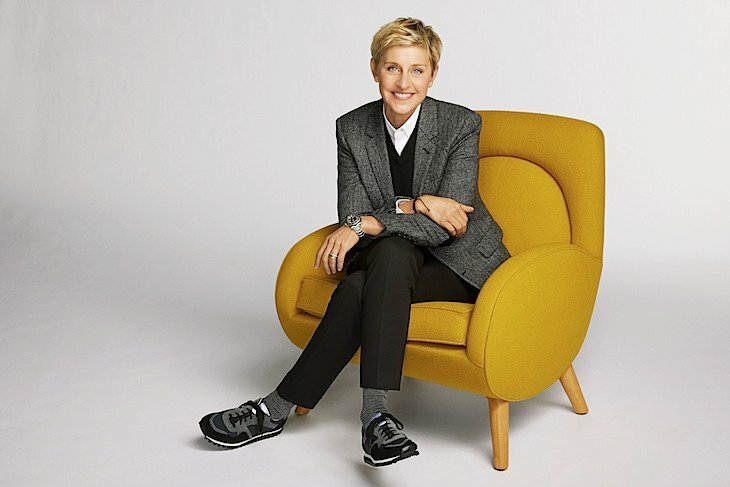 Ellen DeGeneres Watch collection also includes a rare vintage timepiece. Ellen not only loves newer model Rolexes, she also appreciates a good vintage watch. One particularly rare vintage watch we have seen her wearing is the GMT-Master 1675, with a blueberry bezel insert. Very few blueberry inserts were ever produced, which makes it extremely valuable. 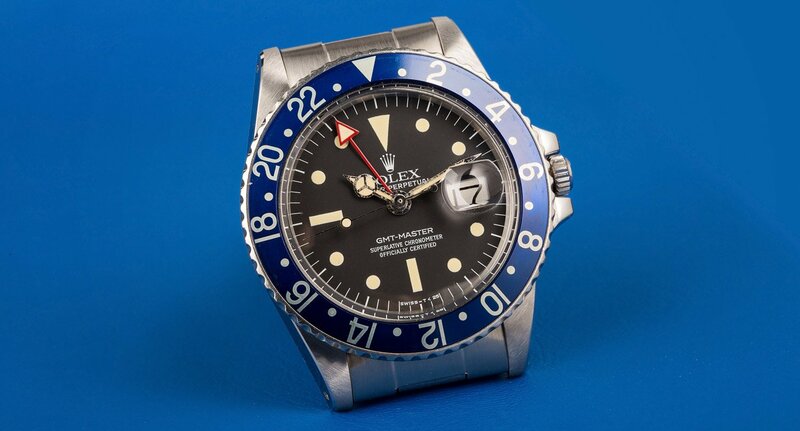 You could pay up to four times more for a “blueberry” than other GMT varieties, but we think this beauty is worth it. Here is a close up of a Blueberry GMT. Ellen has her own unique sense of style, and is great at completing her outfits with the perfect watch accessory. She knows how to mix and match between old and new model watches, and casual and formal attire. 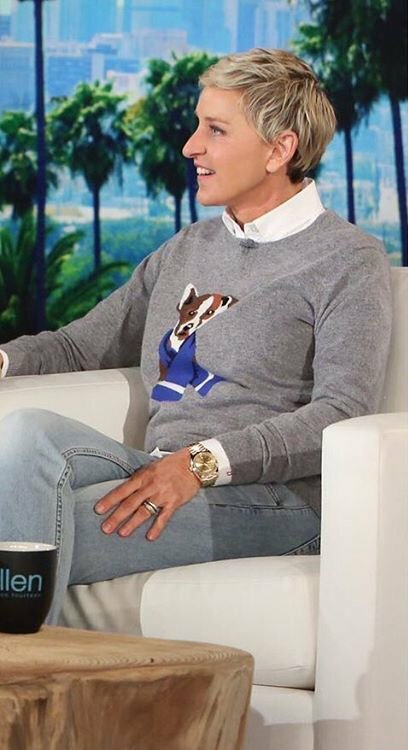 Ellen has been a longtime fan of Rolex watches, and I’m sure we will continue to see many more on her wrist. 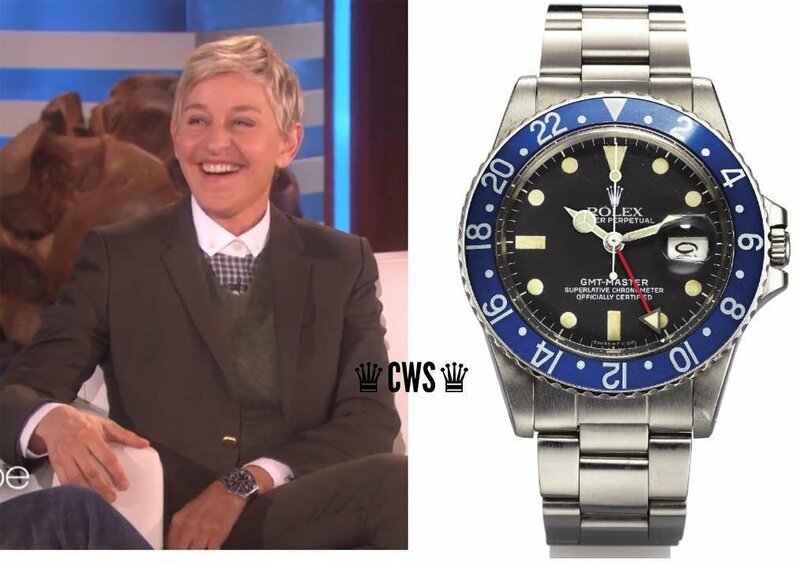 Another watch Ellen has worn that we love is a GMT-Master 116718 with a green dial. Rolex began producing green dials and bezels when they released their line of 50th anniversary models. Green is a symbolic color of success in Chinese culture, and brings a warm and organic feeling to the watch. High polish center links add a nice point of interest to the all gold oyster bracelet. This tri-color model really draws the eye in to take a closer look, and we simply find it stunning. 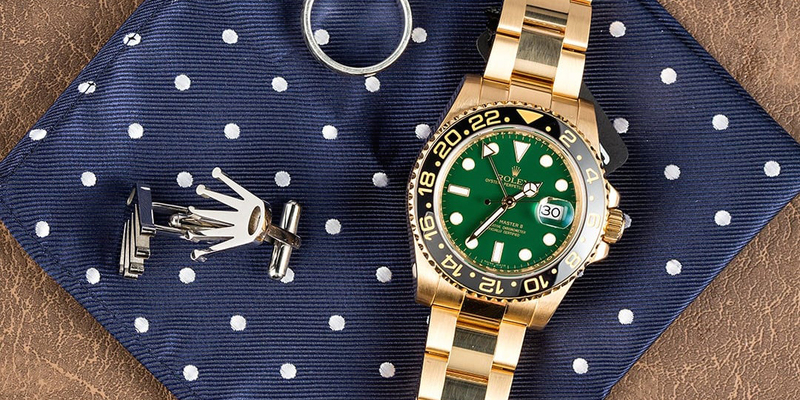 The GMT-Master is a watch made in gold with a green dial.